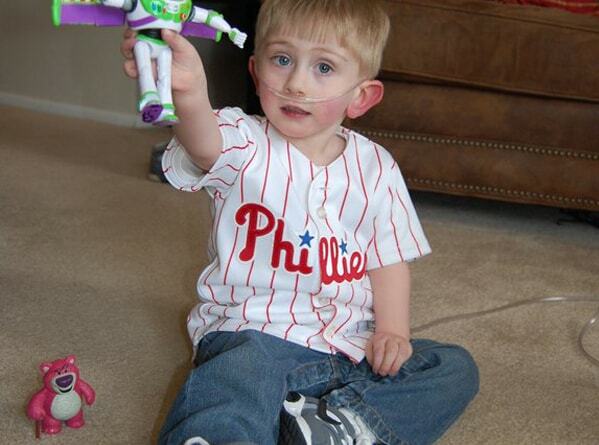 At age 3, Riley O’Brien was in need of a double lung and heart transplant. At that time, he was the only candidate in our country under the age of 5, for this type of procedure. Our funds helped replace the family’s lost income as Riley’s mother Carol was unable to return to work due to caring for him. We are thrilled to report that Riley finally received the transplant he so desperately needed!! See more of his story at Smile4Riley.com. Homers For Hope was able to pay for 1 month of: cable, phone and utilities.